Update: St Paul Mercantile has generously extended this offer though Monday, September 5th, given the interest seen in the aftermath of Hurricane Irene. 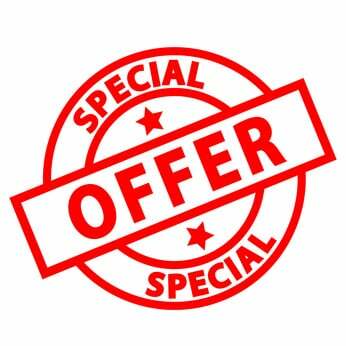 Little did we realize that this month's special offer would have such immediate relevance when we started running it. Hurricane Irene is providing asomber reminder that having dependable access to potable water is Priority Number 1 in the wake of unexpected disaster. A number of the comments in our thread on Irene written by readers in the hard-hit Northeast detail the tremendous difference between those well-prepared in this dimension and those not. If you have not yet secured means to reliable, safe drinking water in the event of emergency - whether you take advantage of this offer or not - please make that a priority now. This extended offer is available until end of day Monday, September 5: St. Paul Mercantile is offering PeakProsperity.com users 10% off it's most popular stainless steel and plastic ceramic water filters. These are highly-effective, highly-dependable solutions that ensure your family will be able to create safely potable water under virtually any conditions. Click here to take advantage of this offer, exclusive to PeakProsperity.com readers. NOTE: This offer expires at end of day today! Continuing our efforts to obtain exclusive deals on important personal resiliency products for CM.com members, we've just obtained the following two offers from The Ready Store. Making sure you have adequate first aid supplies is an absolute must, no matter where you live or what you expect from the future. A post-peak-oil world aside, it just makes sense from a basic disaster-preparedness basis. And the time to stock up is before the hurricane, earthquake, or random injury occurs. These offers run through Tuesday, November 1st. To take advantage of them, use the link below and enter the coupon code CMFIRSTAID10 at checkout. As part of our continuing efforts to acquire and provide special offers on quality resiliency-building products, we are pleased to have obtained exclusive pricing on the Global Sun Oven and accessory kit from St. Paul Mercantile. Solar ovens are an excellent backup cooking system in grid-down situations. They have plenty of non-emergency value, too. But in times of need, having a simple portable solution for safely cooking food that only requires the sun to be shining is a nearly invaluable asset. This offer runs through December 31, 2011. We are pleased to announce that our new content manager (whom we'll introduce on the site shortly) has procured an exclusive offer for our readers on a favorite item of the CM.com staff: the Excalibur Dehydrator 3000 Series. 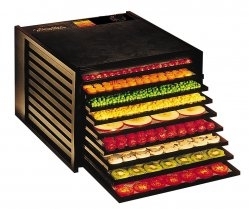 A dehydrator is a valuable addition to food preparedness and storage strategies. It's a great tool that enables you to preserve food from your garden or the store while minimizing nutrient loss. Extend your food supply, save money, and enjoy tasty, healthy treats -- what's not to like? This offer runs through December 31, 2011. We thought this a good offer for the holiday season as dehydrators make a very practical gift. Back by popular demand, we are pleased to announce that St. Paul Mercantile is offering PeakProsperity.com members a holiday season discount on 10% off its most popular stainless steel and plastic ceramic water filter systems plus free Shipping. This offer includes upgraded components these highly effective, highly dependable solutions that ensure your family will be able to create safely potable water under virtually any conditions. 10% Off Complete Water Filter Systems, Replacement Filter Candles, and the Fluoride/Heavy Metal Reduction Add-On Filters. We are pleased to announce that PrepareDirect is offering PeakProsperity.com members a special discount of 5% off all GoalZero Components and kits. GoalZero offers portable, expandable, and affordable backup and off-grid power solutions for lighting, communications and small 12V coolers. It's also great for powering smaller electronic devices when traveling, camping and backpacking. The GoalZero product line offers entry-level resilience building opportunities for your backup power needs. We are pleased to announce that St. Paul Mercantile (SPM) is offering PeakProsperity.com members a special discount on select heating systems. Members get 10-20% off the retail price through the month of February. We are pleased to announce that The Ready Store is offering PeakProsperity.com members a special discount of 30% off their DELUXE 2-Week Supply of Food Storage package. If you are just starting to build up your long-term food storage or need to add some variety to your current deep pantry or DIY food storage, this is a great way to get started. These freeze-dried meals and foods are very convenient and easy to prepare. The meals have a shelf life of 20-30 years and come from the two most trusted brands in the industry: Saratoga Farms (TM) and Mountain House (TM). By simply adding water, you’ll be able to add additional food resilience to your food storage plan. The offer gives you the following: 1 can Scrambled Eggs, 1 can Beef Stroganoff, 1 can Pasta Primavera, 1 can Hearty Beef Rotini, 1 Can Super Sweet Corn, 1 Can Banana Slices. *Note: Long-term food storage systems and products differ greatly by size, quality, servings, etc and are non-standard. This makes long-term food storage pricing inconsistent across product lines and package offers. As a longtime CM.com merchant, The Ready Store has agreed to provide price matching if you find this product offered at a lower price with an established vendor. We are pleased to announce that SolSolutions is offering PeakProsperity.com members a special discount of 25% off all Solar Goose LED-Solar Flashlights and other associated lighting and charging devices. SolSolutions designs and builds portable solar generators. They also use their industry expertise to recommend and sell the best in solar components, energy efficient appliances, LED lights, and off-grid energy options. The Solar Goose Ultimate LED-Solar Flashlight is one of the best on the market. Solidly built of brushed aluminum, not plastic, the Ultimate Flashlight contains a strong solar charger, bright high-quality LED chip, and versatile design. Solar Goose also has an Ultimate Survival Kit for lighting, communication and small backup power needs. This kit can be an excellent addition to your car or mobile emergency preparedness package. (Read the EDC Article). Other backup solar charging and lighting products are available at Solar Goose as well. A free mini solar/led flashlight with every order. 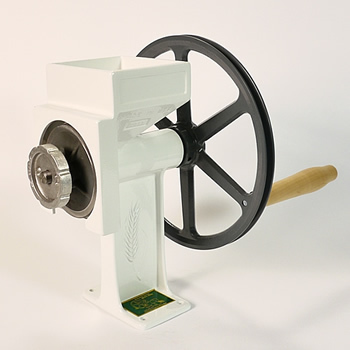 We are pleased to announce that PrepareDirect is offering PeakProsperity.com members a special discount of 5% Off Country Living Grain Mills and Free Shipping. The Country Living Grain Mill can be an incredibly valuable asset to your overall preps or homestead infrastructure. Freshly ground flours and grains produce amazing bread and provide better nutrition for you and your family. Having a grain mill also gives one the ability to purchase bulk wheat berries and save on your everyday baking needs. And those of you who are looking to try your hand at growing your own grain, now you have the opportunity to save on the method of processing the grain you grow. Free shipping anywhere in the 48 contiguous states. Call for shipping costs to Hawaii and Alaska.